All Nippon Airlines (ANA) has completed the first commercial service by a Boeing 787, operating a charter from Tokyo Narita to Hong Kong on October 26. 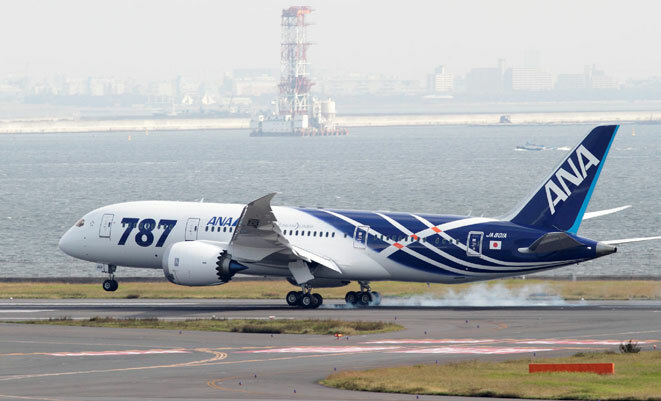 The flight – appropriately designated flight 7871 – was conducted by JA801A (ZA101), the eighth 787 built and the first delivered to ANA about a month ago. The aircraft took off at 1240 local time and landed at 1552, and all 264 seats – 252 economy and 12 business – were full of revenue passengers as well as ANA and Boeing officials, and invited media. The flight took place about 40 months later than the original schedule, with successive delays to the program caused by supplier issues, parts shortages, technological problems, and other delays. The first scheduled services are due to begin on November 1 between Tokyo-Haneda and Okayama, and Haneda and Hiroshima, while international services from Haneda to Beijing will start in December.